Pissaladière with Prosciutto is a twist on a classic Provencal puff pastry tart with caramelized onions, prosciutto & olives, and perfect for entertaining. Pissaladière with Prosciutto is a twist on a classic Provencal dish. 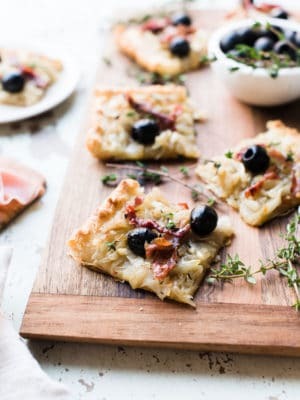 A puff pastry tart with caramelized onions, prosciutto & olives makes it perfect for entertaining. This recipe is inspired by the time I spent in wine country cooking with Joanne Weir as a guest of Lindsay Olives. This post is brought to you by Lindsay Olives. “Whatcha making, Liren?” my friend Irvin asked me, his phone aimed at my handiwork on the kitchen counter. I laughed and turned to Chef Joanne Weir for back up. “Pissaladière!” she cheered, the words rolling off her tongue. “Pissaladière,” I confirmed to Irvin’s audience on Instagram stories, with as much gusto as possible. And I puzzled over my tongue-tiedness (is that a thing? ), because I’m actually not too shabby when it comes to words and foreign language — but for some reason, I was fumbling over five syllables. But maybe I should back up a bit — you may be wondering why we were in the kitchen with Joanne Weir in the first place. 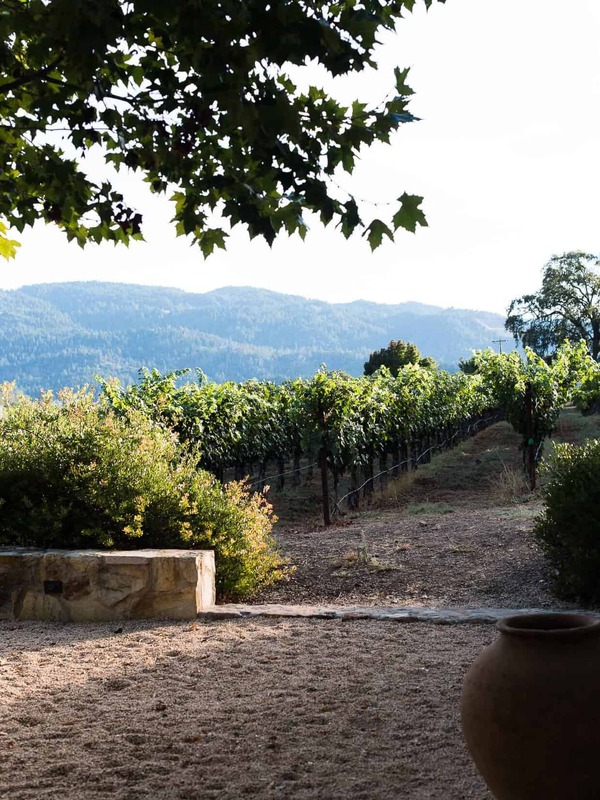 A few weeks ago, I spent a Sunday up in Calistoga — the sun was sparkling that warm autumn glow that I love so much this time of year, and I found myself at the stunningly austere Kelly Fleming Winery, in a little corner of quiet wine country, perched on a hillside with a stunning view of Napa. 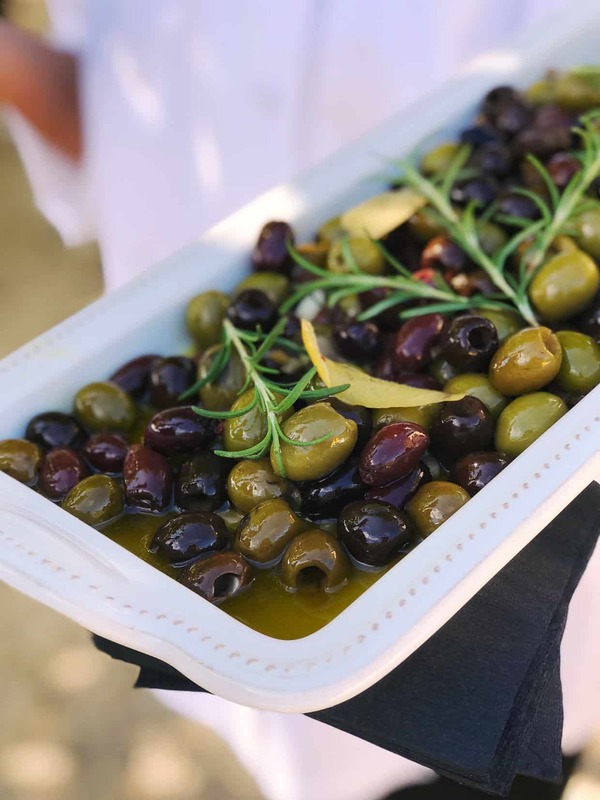 I was greeted by my friends at Linsday Olives, and along with an intimate group of friends, old and new, who share my love of olives, we toasted the olive harvest and immersed ourselves in all things olive. 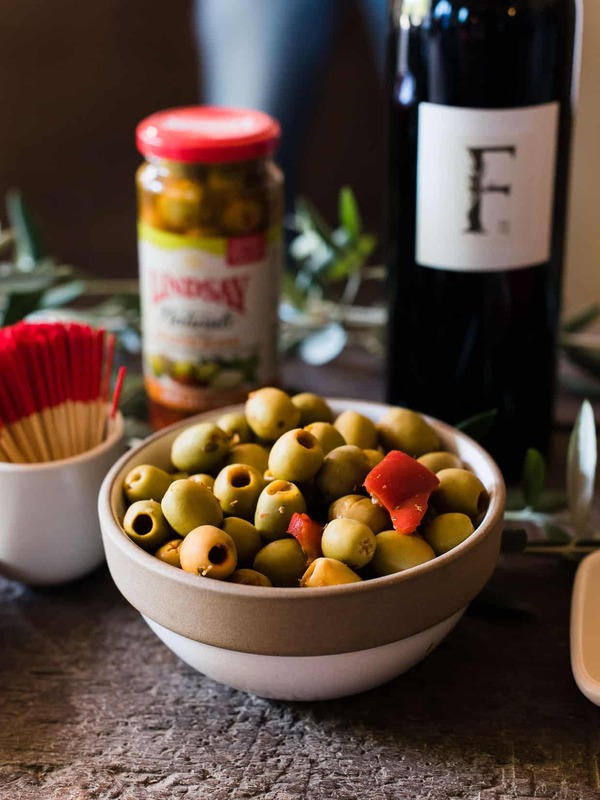 Sips of rose and nibbles of warm olives fragrant with rosemary set the mood, and we began by learning from Lindsay Olive’s own “olive whisperer,” Cody McCoy. 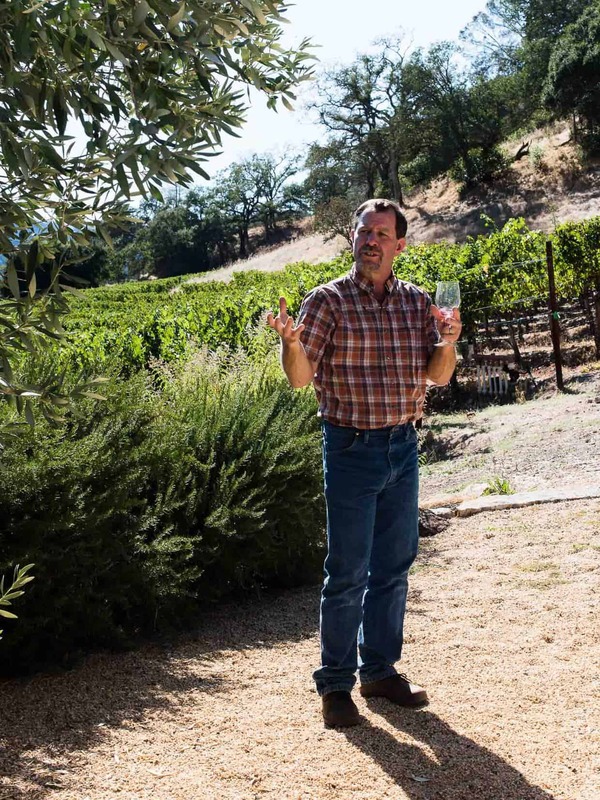 His knowledge on all things olives was astounding, and as we gazed at the olives growing on the trees on the Kelly Fleming property, it put into perspective how much work goes into the jars of one of my favorite foods. But I did mention that we spent some time cooking with Joanne Weir — and I really do mean cooking, as it was a hands-on affair for all of us! 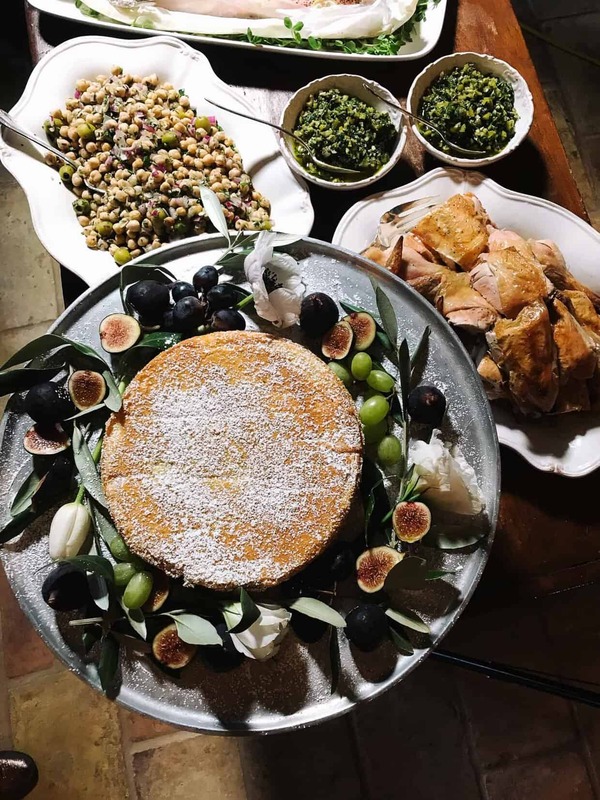 The menu for that evening’s Tree to Table Dinner not only highlighted olives, but was also filmed for an episode for her upcoming show, Plates and Places. Each of the attendees were given a menu item to work on, and for me, as you already know, I had the good luck of making the Pissaladière. I have to admit, this was the first time I had ever heard of a pissaladière – but one glance at the recipe, and I knew I would love it. 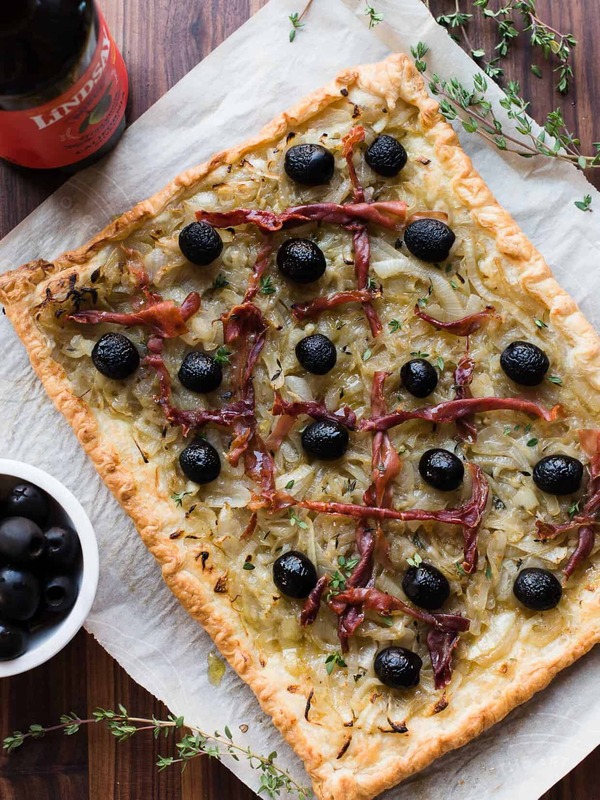 Puff pastry — a staple in my freezer for last minute entertaining — is the base for lusciously caramelized onions, slivers of anchovy, and of course, studding throughout, olives. I knew that when I returned home, I would have to recreate it, and with a slight twist. 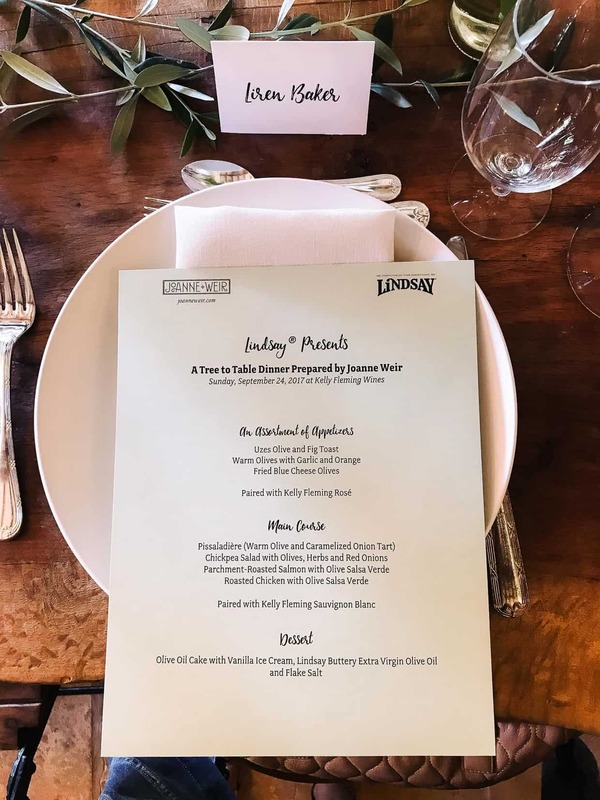 As our dishes finished cooking in the kitchen, it was time to explore olive and wine pairings, led by Lindsay’s CEO, Tim Carter and Kelly Fleming. 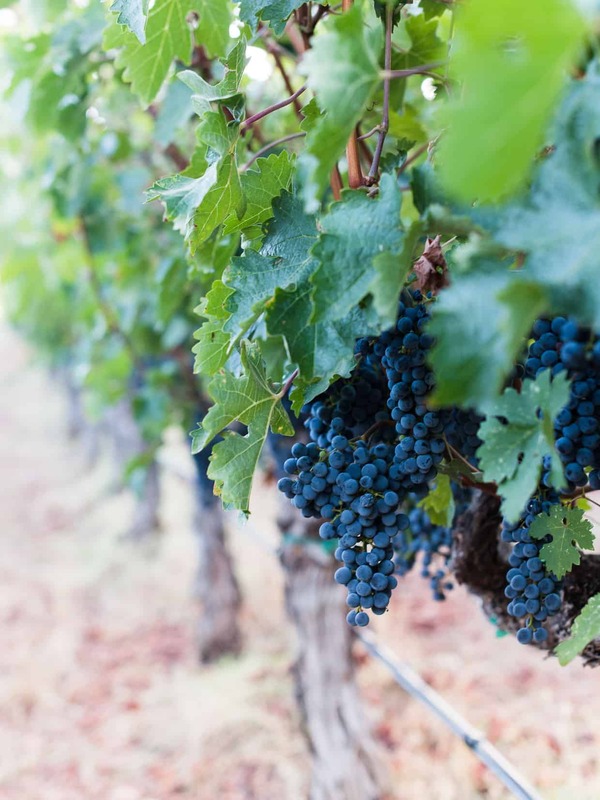 Working our way down the flight of wines and olives was something I was eager to try — olives are a must for me when it comes to creating a cheese and charcuterie board, but the nuances of the flavors were something I have always wanted to understand better when it comes to pairing with wine. 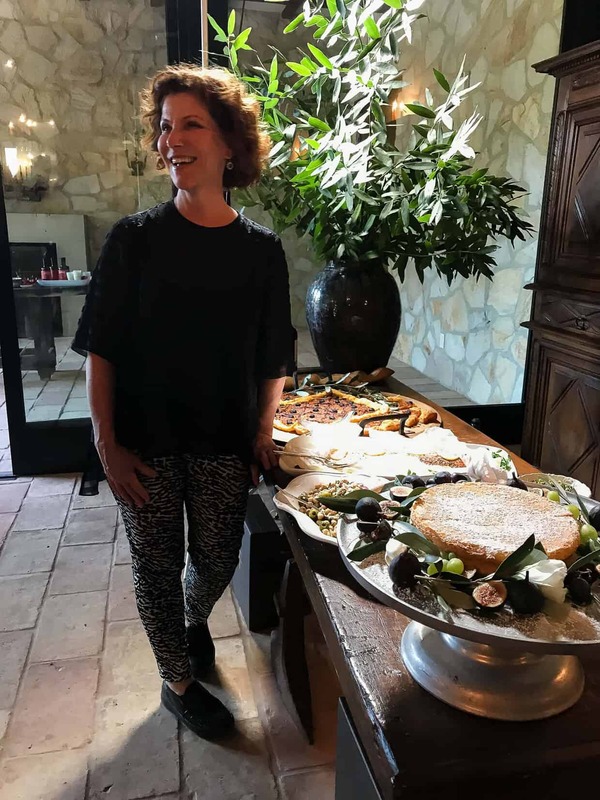 I think that perhaps one of my favorite pairings was the jalapeno olives with the Kelly Fleming rose — it was a nice surprise! 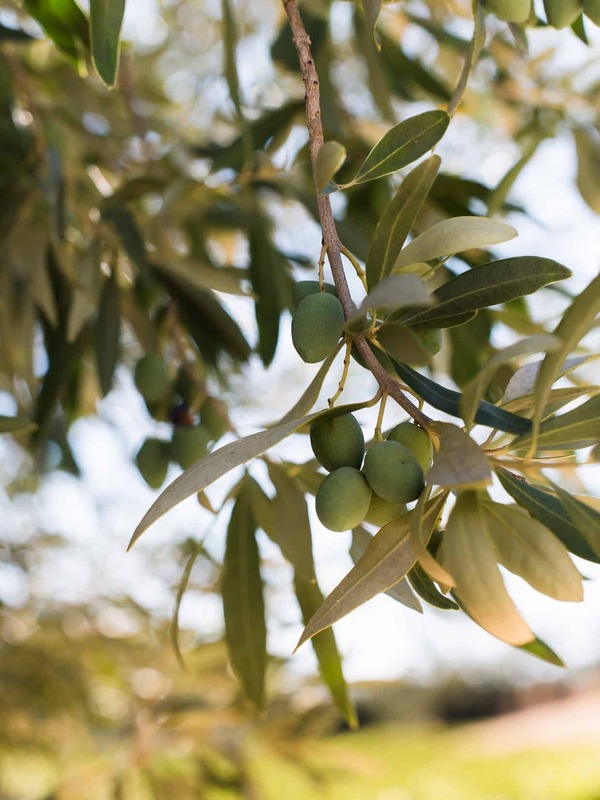 The biggest surprise, however, was that Linsday Olives has started producing olive oil! I can’t even begin to express how excited I was that we were able to cook with it and do an olive oil tasting. 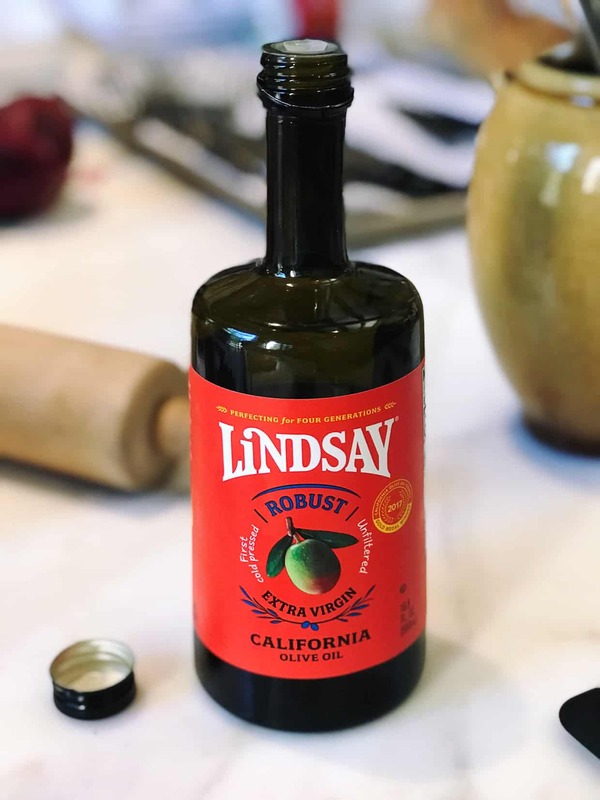 They have two varieties at the moment — the Buttery Lindsay Olives Olive Oil is smooth and perfect for baking (I have already experimented a lot!) and the Robust Olive Oil has an incredible flavor that I love in everything from salad dressings to stir-fries. I know you will really love cooking with it, too. As the sun set, we all settled at the long table to enjoy the feast that we all created — sitting there with our friends at Lindsay Olives, Kelly Fleming, Joanne Weir and her production crew — I couldn’t help but marvel at how so many of us who had never met before could enjoy such lovely day together. It was proof again how food ties us together, and in this case, it was the olive, who has been doing its job for centuries. Back at home, I had to make my own version of the pissaladière. The hardest part, to be honest, was making sure my family didn’t eat up all the olives in the house so I could bake the tart, my Pissaladière with Prosciutto! Now, while I personally love anchovies and my family embraces it in things like a Caesar salad dressing, I knew that the slivers of precious anchovy would be picked off. But what else could I use to recreate that salty bite? Well, ribbons of prosciutto was the perfect substitute — but between you and me, I still added anchovy paste to my onions, because nothing could replace that deep flavor in my Pissaladière with Prosciutto. I think I struck just the right balance, and this Pissaladière with Prosciutto was perfect with a bowl of soup for a simple meal, but really, it is well suited to serving with friends, with a glass of wine. It’s really all you need. Disclosure: This post is brought to you in partnership with Linsday Olives. Thank you for supporting brands that matter to me; sponsored posts such as this help behind the scenes at Kitchen Confidante. All opinions in this post are, as always, my own. 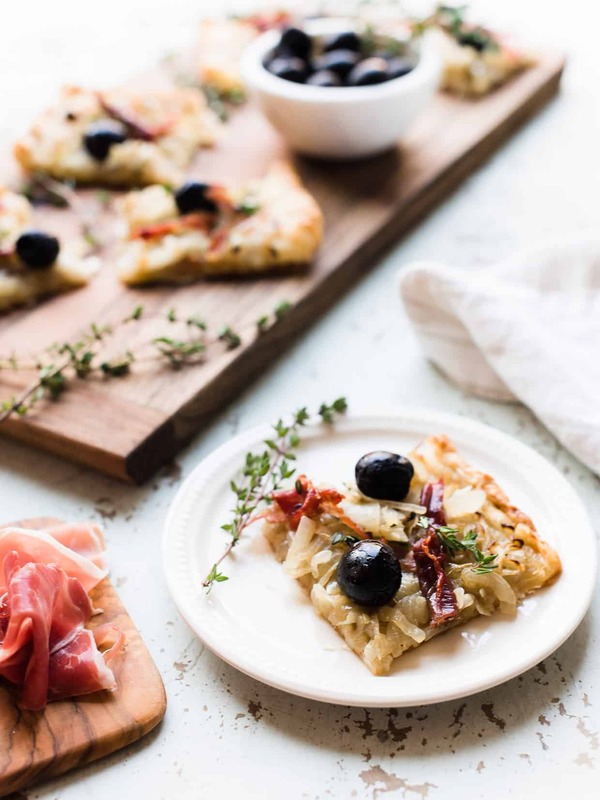 Pissaladière with Prosciutto is a twist on a classic Provencal dish. 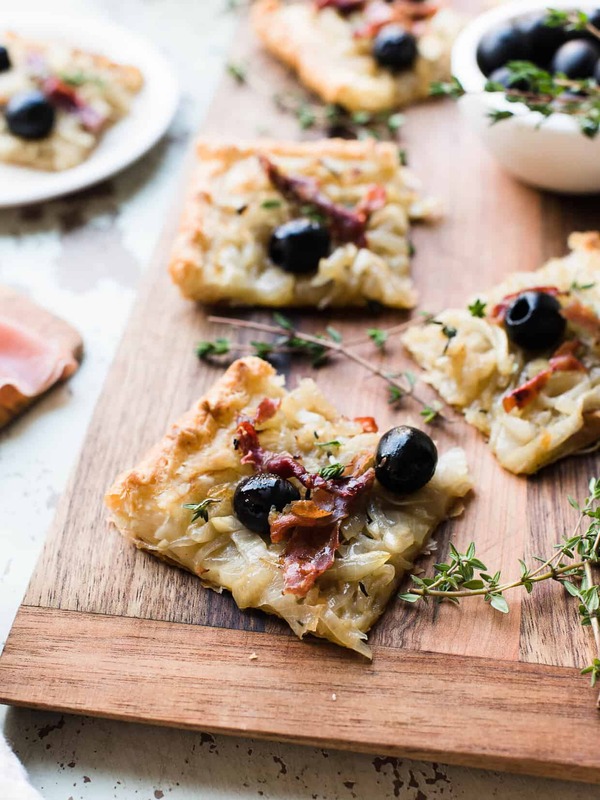 A puff pastry tart with caramelized onions, prosciutto & olives makes it perfect for entertaining. If you want to make it in the traditional form, use whole anchovies in place of the prosciutto…or even better, in my opinion, both! In a large deep sided skillet or saute pan, heat the olive oil over medium-low heat. Add the onions, garlic and sprigs of thyme and cook, stirring frequently, until the onions have wilted, about 20 minutes. Lower heat, and continue cooking until the onions are golden then stir in the anchovy paste and season to taste with black pepper. Remove thyme stems and set aside to cool. Roll out the puff pastry on a baking sheet and crimp the edges. Top the puff pastry with the cooled onions, then place the ribbons of prosciutto in a diagonal pattern about 2-3 inches apart. I like twisting the ribbons of prosciutto for presentation. Rotate the tray and repeat the prosciutto pattern on the other side so that you have a checkerboard pattern. Place an olive in the center of each square. If you wish, halve the olives. Bake until the tart is golden and puffy, about 25-30 minutes. Remove from oven, slice into squares and serve immediately. Joanne Weir’s recipe adds chopped tomatoes to the onion compote and uses anchovies on top. This version simplifies the tart and makes it more approachable for anchovy haters, but I encourage you to try adding them! This recipe makes 1 tart, serving 6 as an appetizer. Adapted from Joanne Weir’s Pissaladiere: Warm Olive and Caramelized Onion Tart. *almost* too pretty to eat! It’s just stunning and looks so delicious! This one sounds delicious and looks even prettier! !Thanks for sharing. What a fabulous trip and appetizer!! What an amazing trip! 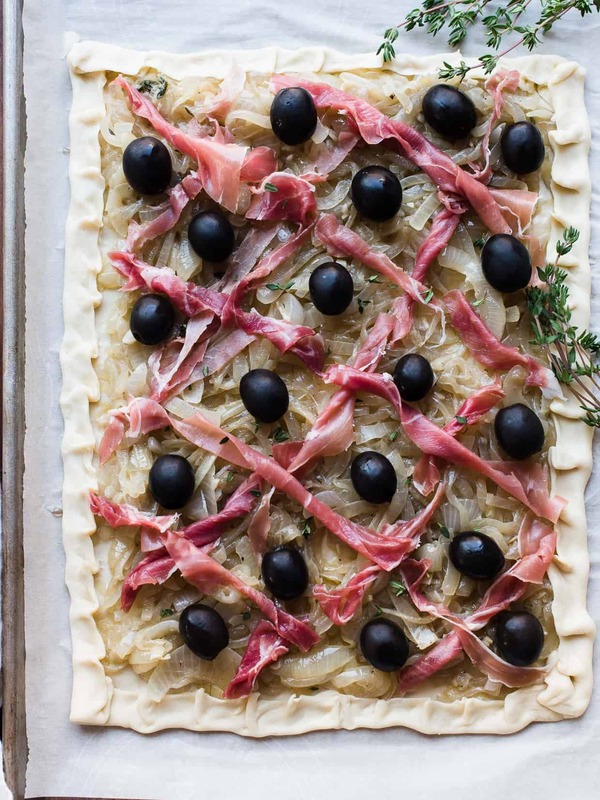 This pissaladière and all those olives look amazing! What a great trip! 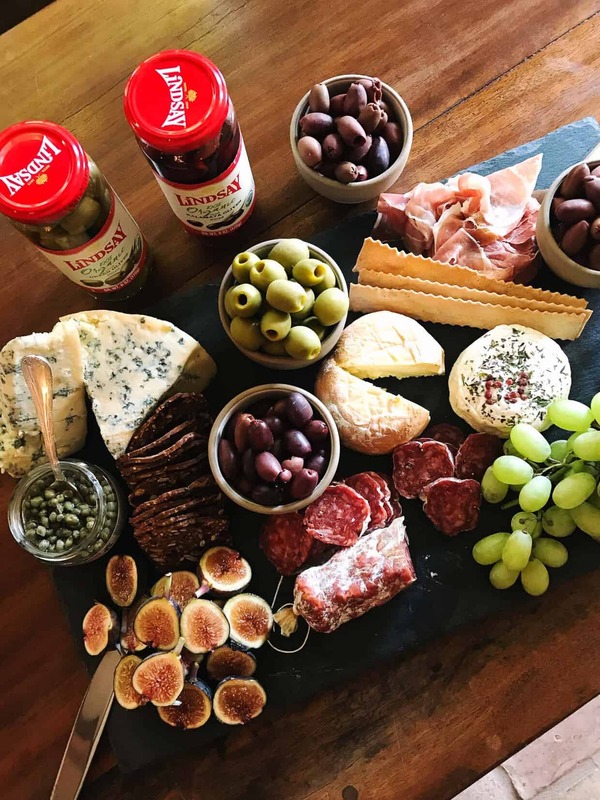 I love olives and just about anything related to olives, this looks so good!